This attractive and elegant Law Group sign has space for 7 Attorneys. 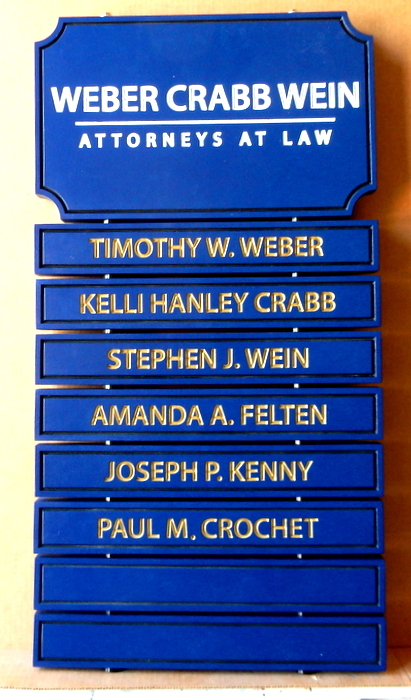 This dark blue, sign with white and gold lettering at the top , has a smooth background. The nameplates are engraved smooth-faced HDU, and are readily removable/replaceable through fasteners to rods on the back of the name signs.